Welcome to ToddRobbins.us my online showroom for those shopping for a cutting edge on-air personality. Thanks for visiting ToddRobbins.us, the online home...Like You've Never Heard Before! TR Awarded 2017 MBA Sports MERIT AWARD!!! 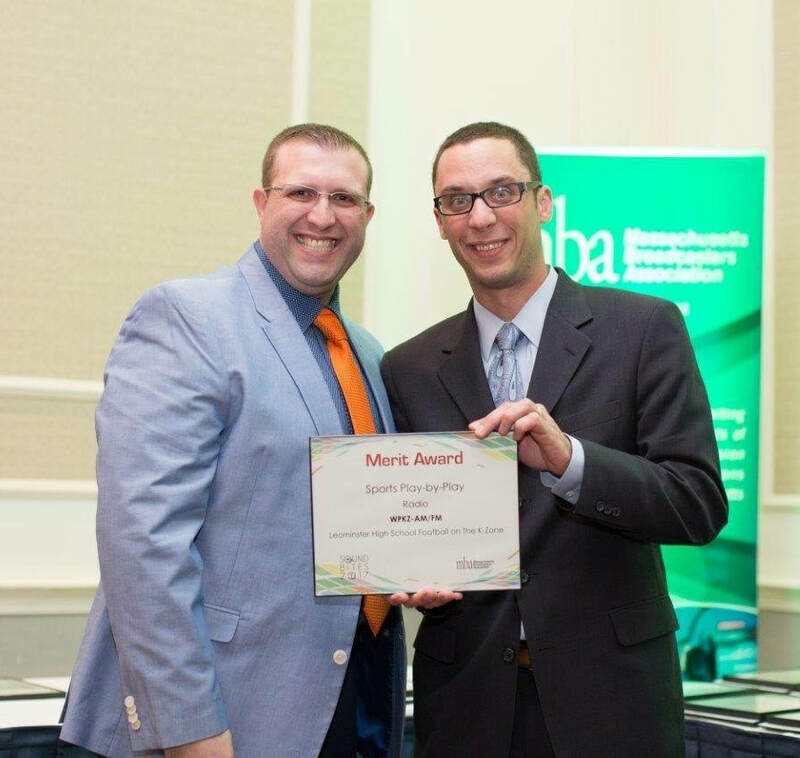 (11/02/2017) MBA Executive Director Jordan Walton presenting Todd the 2017 MBA Merit Award for Sports Play-by-Play inside the Sheraton Framingham Hotel & Conference Center Framingham, MA. TR Awarded 2016 MBA Sports MERIT AWARD!!! 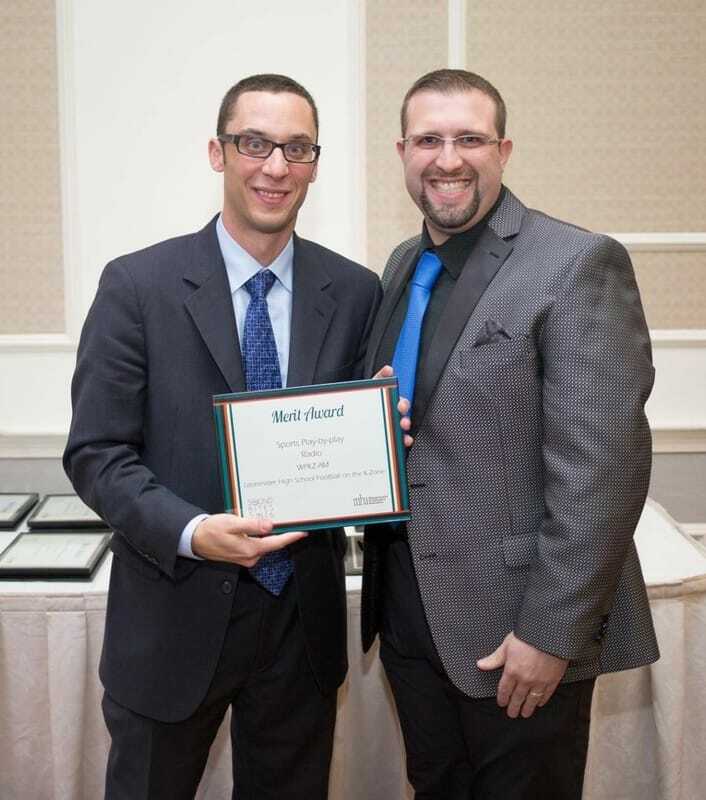 (11/16/2016) MBA Executive Director Jordan Walton presenting Todd the 2016 MBA Merit Award for Sports Play-by-Play inside the Sheraton Framingham Hotel & Conference Center Framingham, MA. 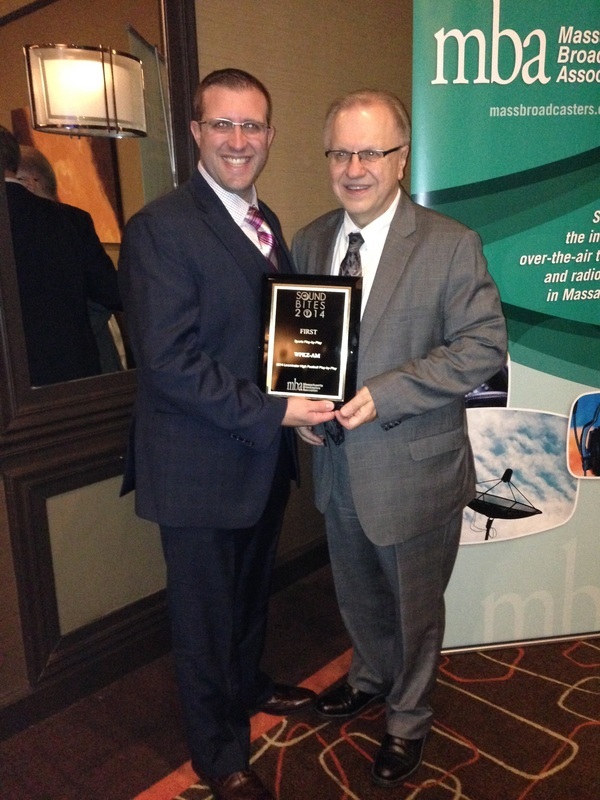 TR Awarded TWO 2015 MBA Sports MERIT AWARDS!!! 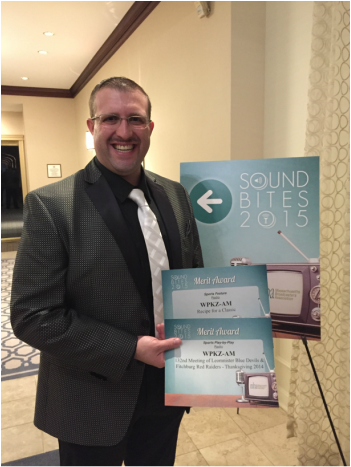 (11/12/2015) Todd holding the 2015 MBA Merit Awards for Sports Play-by-Play & Sports Feature inside the Sheraton Framingham Hotel & Conference Center Framingham, MA. "Todd Robbins...YOU ROCK my friend. You ask the questions THEY answer the questions, that's how it works. 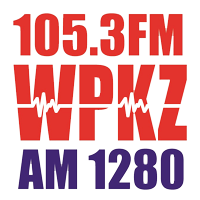 Showed what a professional you are..."
"If your streaming video of the game on LATV and don't have it muted while streaming the audio play-by-play by Todd Robbins on WPKZ, you are doing it wrong..."